Your toddler having a meltdown, or your teen refusing to put down their smartphone and help out around the house? Simply trying to eliminate challenging behaviour doesn't help and offering rewards for good behaviour can turn into a punishment and also be ineffective, says a Vancouver-based registered psychologist. Vanessa Lapointe, author of the new book Discipline Without Damage, told B.C. Almanac host Gloria Macarenko that parents need to "understand behaviour as a result of development." "Behaviour is what a child is going through in terms of their brains just figuring out how they're going to exist in the world," she said. "If we can have parents very competently in the driver's seat in terms of guiding and leading their children then … the idea of discipline in fact ceases to exist and rather becomes how we as adults support healthy development." Lapointe said she understands how many parents struggle to balance being too strict and being too compassionate and instead becoming a "jellyfish"
"The challenge becomes to be both firm and kind in how it is that you're responding to your children." She said many parents have realized that punishments are not effective ways to curb bad behaviour and instead set up a reward system or chart where children earn a prize of some kind based on good behaviour. However, she warns against these reward-based programs because she said they can become a form of punishment — what she calls "the seedy underbelly" of offering rewards. 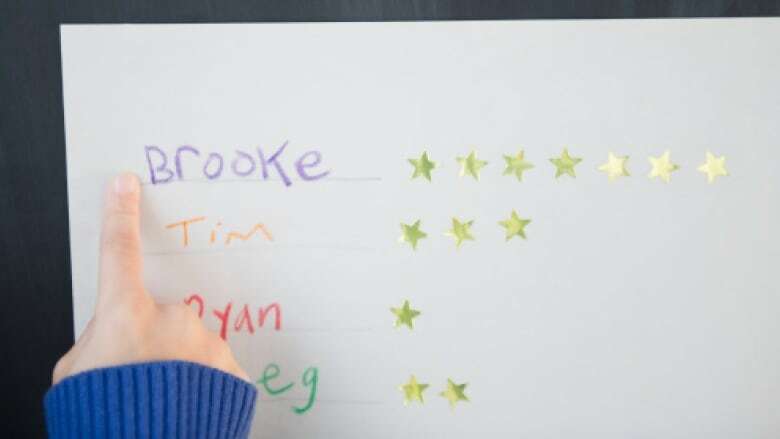 "The opposite of getting a star on your reward chart or a behaviour earned towards an exciting outing is you don't get the star or you don't get the exciting outing, which becomes a consequence," she said. "It has at its core what we call a relational disconnection which will cause some deregulation to the child, so in my book I advocate for doing none of that."